Elastomeric, anticarbonation, vapor breathable and waterproofing paint extrawhite, slightly satin with a high covering capacity. Product included in the tinting system “GeoSystem”. It is appliable on every internal and external substrate. 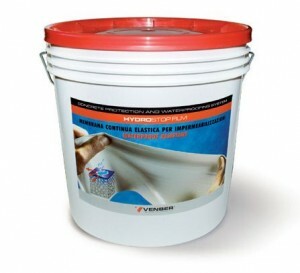 Anticarbonation, elastomeric, breathable and, at same time, waterproofing product. High covering capacity. It covers black substartes with only 2 coats. It is mould resistat and easily appliable. Marked CE according with the EN ISO 1504-2 2005 rules. Certified according with the UNI 10686:1998 rules.